Wearables generated $30.5 billion this year, with smartwatches raking in roughly a third of total sales, according to a new Gartner forecast. In 2017, there will be approximately 41.5 million smartwatch units sold, compared to 34.8 million units last year, according to the market research firm. Gartner researchers predict smartwatches from Apple and Fossil will take the lead in sales for the segment. “We expect other consumer electronics brands such as Asus, Huawei, LG, Samsung and Sony to sell only 15 percent of smartwatches in 2021, because their brands do not have as strong an appeal as lifestyle brands for personal technologies,” the researchers said in a prepared statement. Notably, smartwatches for children ages 2-13 are forecast to represent 30 percent of all smartwatch unit shipments in 2021. "Smartwatches are on pace to achieve the greatest revenue potential among all wearables through 2021, reaching $17.4 billion," said Angela McIntyre, research director at Gartner, in a prepared statement. Meanwhile, Bluetooth headsets are still in high demand with a 16.7 percent increase in sales over last year. These devices actually account for 48 percent of wearables market sales this year, and will remain the most sold wearable device through 2021 (reaching 206 million units). For the remainder of the year, all sales for wearables will steadily climb and increase 16.7 percent over 2016 (totaling $30.5 billion and 310.37 units in 2017). 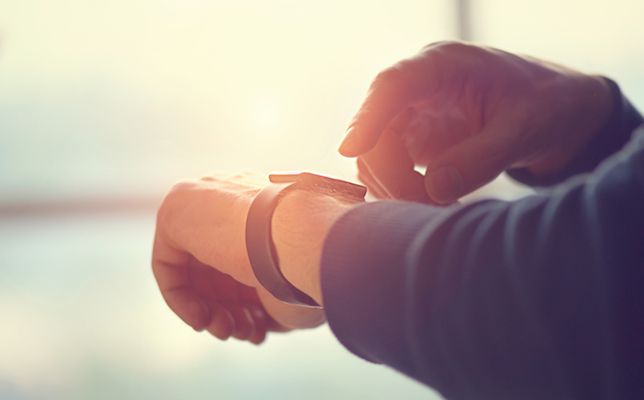 These findings are comparable to another report from the International Data Corporation, which also predicted forward momentum for smartwatches and wearable fitness trackers. One segment that is still in its infancy, however, is head-mounted displays (HMDs). These devices are forecast to “not reach mainstream adoption with consumers or industrial consumers through 2021,” according to the Gartner report. HMDs account for just 7 percent of all wearable devices shipped this year. Further information can be found in the Gartner report (available to Gartner clients).